Ilaria Bianchi (Pisa, 1989) is a product and furniture designer based in Milan. She works for design studios, galleries, companies and private clients. She started her own practice in 2015, after her degree in Industrial Design at the Polytechnic of Turin, and an MA in Ceramic, Furniture and Jewelry Design at Central Saint Martins in London. 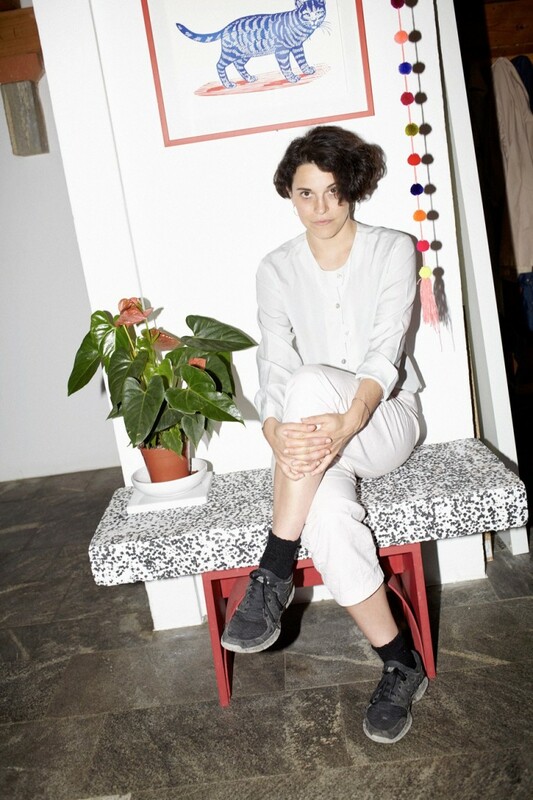 Her work, which uses a multidisciplinary approach, ranges from industrial design, to unique pieces, to installations. It molds artisanal and technical techniques, studying design solutions with an analytical and critical perspective, and a strong focus on sustainability. Her works are shown in galleries, cultural centers and international fairs such as the Victoria & Albert Museum, Triennale di Milano, Dimore Gallery( Dimore Studio), Building Gallery, Galleria Luisa delle Piane, Pad London, MiArt, Stockholm Design Fair, London Design Fair, Salone del Mobile and many others. Her Duo Shelf project is one of the WallPaper* 2018 Design Award winners. In 2017 Ilaria is selected as one of the 100 "ambassadors of Italian design", for the Italian Design Day event promoted by the Ministry of Foreign Affairs; she's also included in the "Under 35 Italian Design" exhibition at Triennale di Milano. In 2016, she founds The Ladies' Room collective with Agustina Bottoni, Astrid Luglio, and Sara Ricciardi. Their work began as a co-operation for observing contemporary design by creating artifacts and experiences, that are the engine of discussion on the renewed need for sensory involvement. Their project, Fènomena, was selected as one of the 40 best exhibitions of Fuorisalone 2018 by the scientific committee of the Milan Design Award.